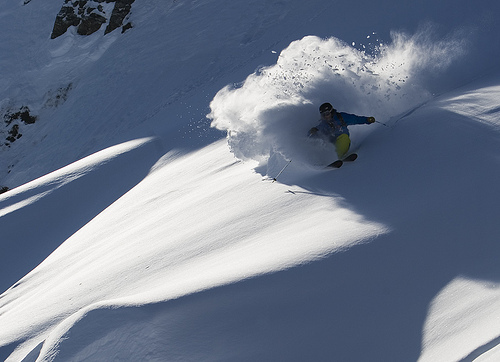 At the Centeno-Schultz Clinic we understand shoulder pain. Stem cell treatment is an alternative to traditional shoulder and rotator cuff surgery. 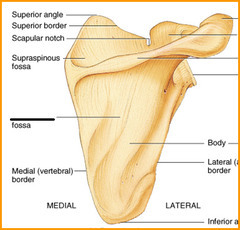 The suprascapular nerve is a key player in shoulder function and pain. The suprascapular nerve runs lateral and beneath the trapezius and enters the supraspinous fossa through the suprascapular notch. 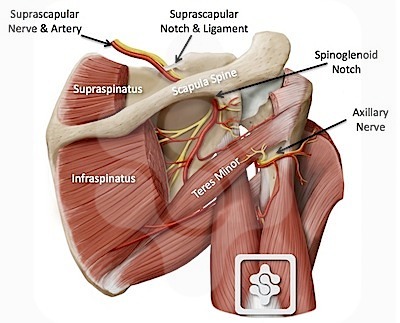 The suprascapular notch or referred to as the scapular notch is a notch in the superior border of the scapula through which the suprascapular nerve descends. The supraspinous fossa is a concavity above the spine on the dorsal surface of the scapula that gives origin to the supraspinatus muscle. MSK ultrasound is utilized to identify the nerve and any possible entrapment which can lead to pain and or weakness. Sites of entrapment and clinical presentation will be discussed in future posts. Ablation of the nerve utilizing radiofrequency has been described by Liliang as an effective treatment in the management of chronic shoulder pain. 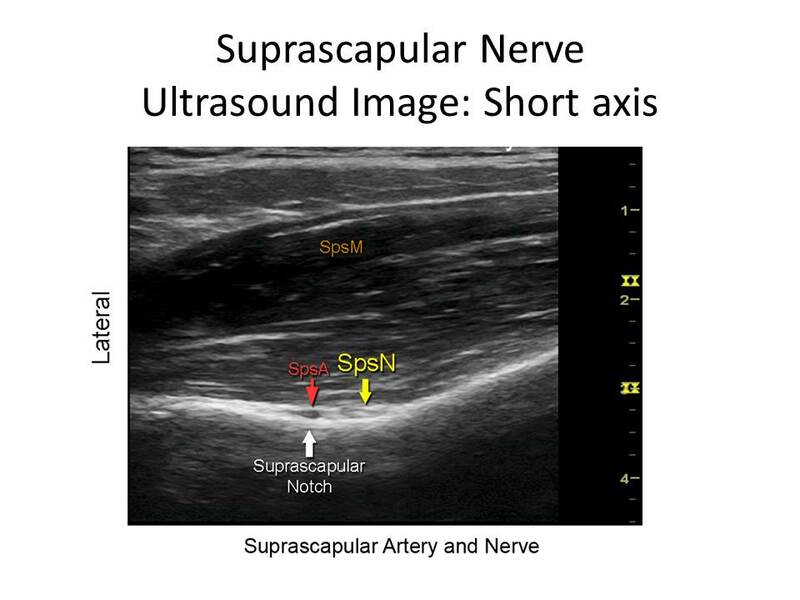 Upshot: the suprascapular nerve and its visualization is critical to the successful management of shoulder pain. Stability is dependent upon 2 principal factors: muscle strength and ligament integrity. 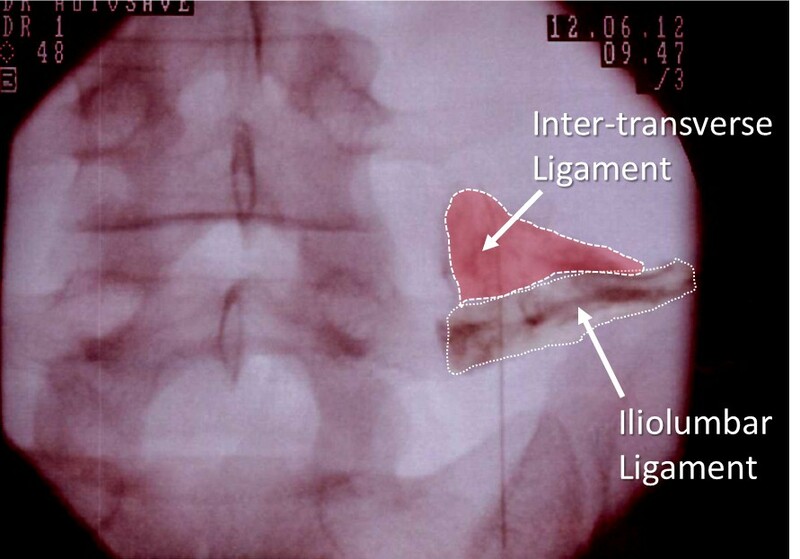 The iliolumbar ligament (ILL)I s an important stabilizer of the lumbar spine. Ligaments are fibrous tissue that connect one or more bones together. Think of them as duct tape. 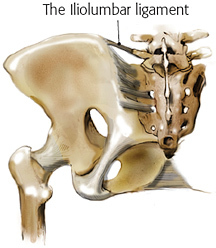 The ILL originates from the lateral aspect of the transverse process of L4 and L5 and attaches to the anterior surface of the ilium (waist bone). The ligament literally prevents the L5 vertebra from slipping forward. 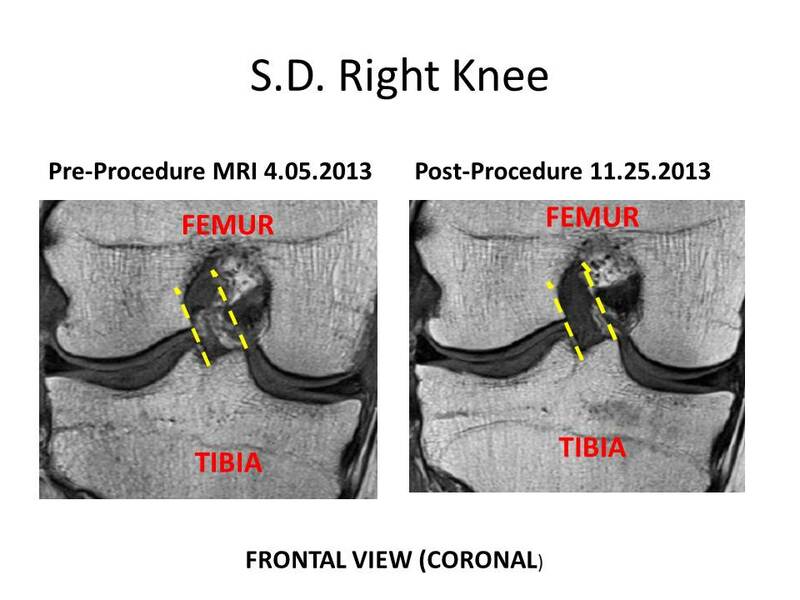 Pool-Goudzwaard also demonstrated that it ILL was an important stabilizer of the SI joint. 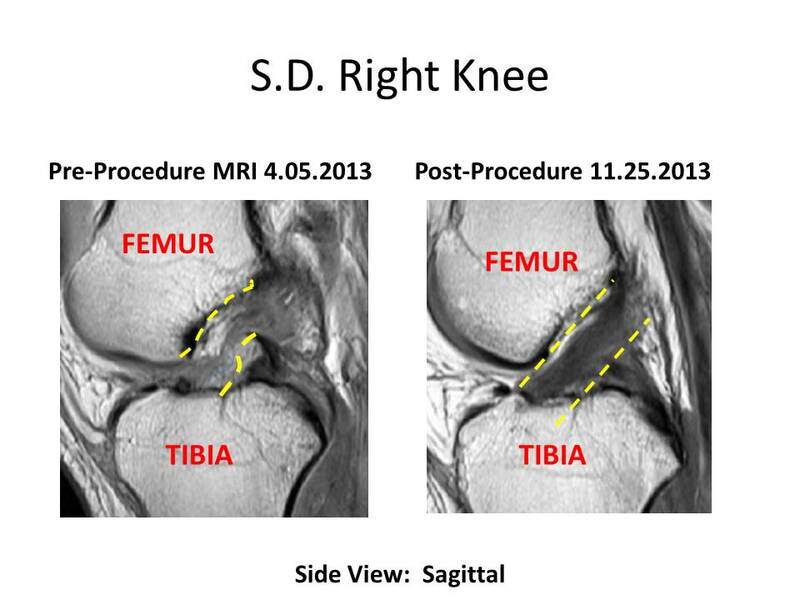 The iliolumbar ligament can be injected under x-ray guidance or MSK ultrasound which is the standard of care at the Centeno-Schultz Clinic. Below is an x-ray image from clinic with the ILL outlined. The Regenexx-DDD procedure deals with both the lax ligaments and the irritated nerves without using harmful steroids. The procedure involves platelet growth factors that are injected into the epidural space as well as into the lax ligaments. Previous blogs have discussed clinical cases where patients have utilized their own platelet growth factors and avoided lumbar surgery.